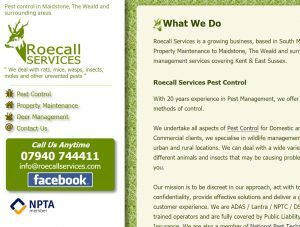 Roecall Services is a pest control company based in Maidstone, Kent. I was asked to create a responsive, bespoke website that suitably represented the company’s image and its values. The content needed to feature a distinctive logo and unique design. I decided to include imagery of the Roe deer that is identified in the business name. I featured this beautiful animal in the logo and also as a watermark on individual pages of the site. I worked closely with the client to create written and photographic content for the site. I also optimised page content for search engines such as Google and Bing. 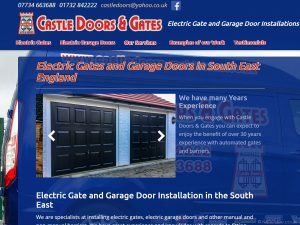 Castle Doors are an automated garage door and barrier installation company. 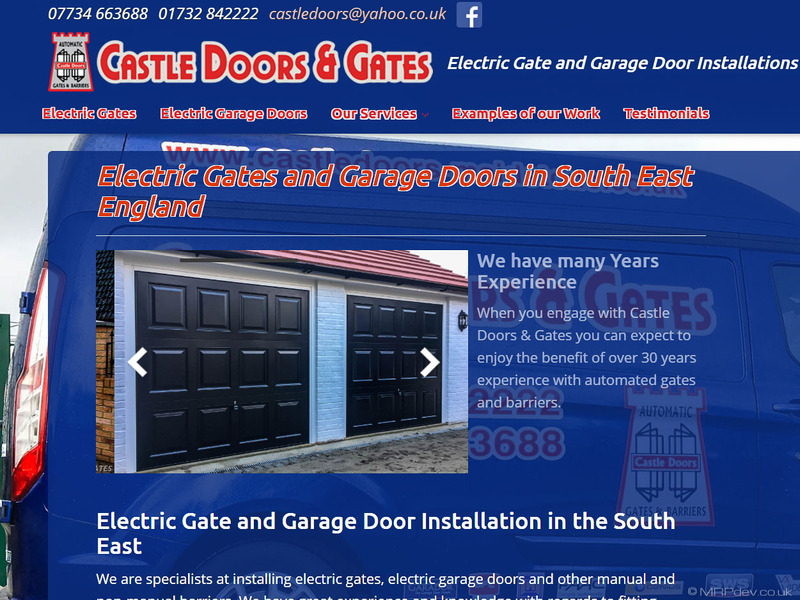 I was asked to produce a new website to promote the company in south London and south east England. I designed the site with a contact form prominently displayed. This maximised the potential for obtaining customer leads. I also optimised individual web pages to give their business a good ranking in search engines. Glowing Fitness is a health company specialising in Pilates fitness and Pilates related therapy. Vicki wanted me to redesign, rewrite and refurbish her tired old website. I created a new, fresh, colourful and sunny design that exceeded her wishes. The site needed some improvement to help raise its profile in internet search engines. I provided advice and support to help Vicki modify web pages where required. Training was provided for using the website editor. Richard wanted me to design and build a website to represent his Soul Quest astrology business. He wanted a suitably mystical and spiritual design that was in keeping with the products and services he provided. 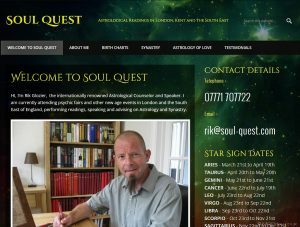 I selected some appropriate imagery with which to decorate the site including​ drawings of star fields and zodiac charts. I chose a suitably clear font that also featured enough flourishes to fit with the astrological theme. I was tasked with implementing a new website design for Boughton Monchelsea Playgroup , a children’s nursery based in Maidstone. 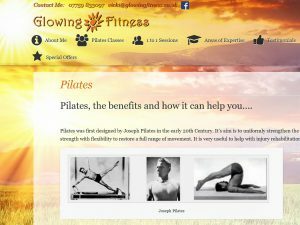 I worked with a local designer to create and develop a website that met my client’s requirements. Due to the nature of their business, a number of special guidelines needed to be followed when developing the website. For example, no photos could be used that featured children’s faces. Written permission from the child’s guardian is required if you wish to feature them on any website. 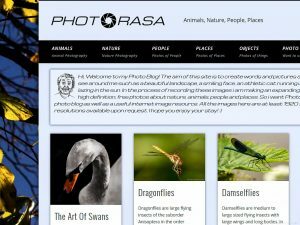 I developed this site to represent one of my own hobbies – photography. 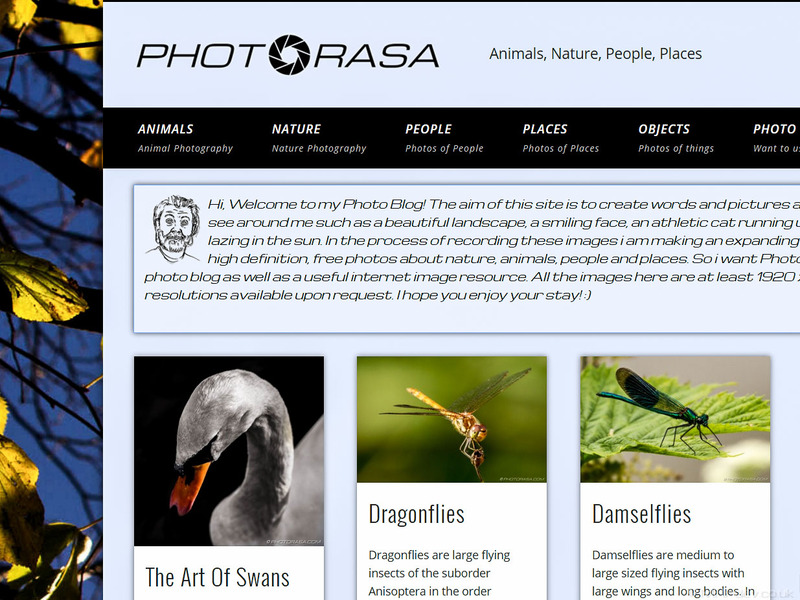 For Photorasa I used the WordPress CMS to develop the site. I wanted to create a photo repository where people could view my pictures quickly and easily. The site needed to be fresh looking, clear and easy to use. I separated the photo content into the different categories of nature, animals, places and people.